This is our general privacy statement and it applies to New Zealanders using our website. If you become a client and we become formally involved in any professional services, then we will enter into a separate agreement for that work which we will discuss with you at that time. Contact you to find out what you think. Besides our staff, we will not share your personal information with others without your consent. You have the right to ask for a copy of any personal information we hold about you, and to ask for it to be corrected if you think it is wrong. If you’d like to ask for a copy of your information or to have it corrected, please contact us at [email protected], or 04 979 9209, or Pox Box 23, Wellington, 6140. 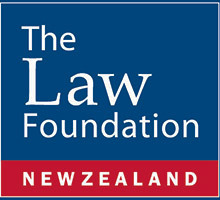 In addition to personal information, we also collect non-personal information about what New Zealanders think so we can share this with people in government and others who can help reform our systems of law and disability. We do not want to collect personal information when we do this. Sometimes, when people are telling us what they think, they can provide us with personal information. If this happens, we will take reasonable steps to remove personal information before we tell people in government what New Zealanders think. Besides our staff, we share this information with people in the government and others in order to reform our systems of law and disability support.